Two people have died and dozens more were injured as violent storms lashed Italy. 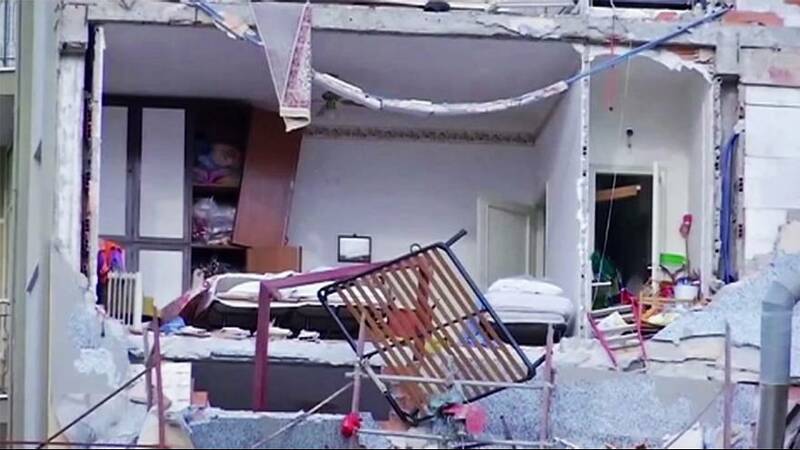 One man was killed in Ladispoli, 55km to north of Rome, when he was struck by masonry falling from a building. Another man was crushed when a tree landed on his car in Cesano. A tornado on the outskirts of Rome damaged dozens of buildings and homes were evacuated over concerns of gas leaks. Further north, the Arno river threatened to burst its banks in Florence, and authorities issued a potential flood alert for the Tuscany region. It comes as central Italy deals with the damage done by a major earthquake and several aftershocks in recent months. Italians are bracing themselves for further severe weather as new violent storms are forecast for southern Italy.